Thirteen island nations, with a total population of just over 6 million people offer so much to see and do. Going on one of many rich and diverse South Pacific cruises will let you experience the enchanting islands and beautiful people that for hundreds of years stirred the mind and excited the imagination. The names themselves conjure up images of times past, great voyages of discovery and pitched battles, now etched in history – Cook Islands, Fiji, Kiribati, New Caledonia, Niue, Papua New Guinea, Solomon Islands, Tahiti, Tonga, Tuvalu, Vanuatu and Samoa – they all have a charm and allure which has attracted explorers, adventurers and fortune seekers since the dawn of time. 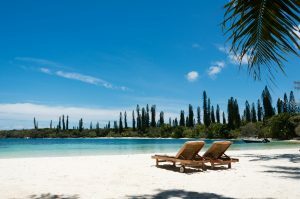 As a general but not exclusive rule for South Pacific cruises from Australia or New Zealand, most South Pacific cruises will visit at least one port of call in New Caledonia, though you will need at least seven nights to make your way out to the islands and back. If you have your heart set on exploring the idyllic islands of Vanuatu, you will usually require a cruise of at least 9 nights, unless you are cruising from Brisbane, in which case you can combine New Caledonia and Vanuatu in a convenient 7 night itinerary. If Fiji or Papua New Guinea is your ultimate destination, you will need cruises of at least 11 nights or longer. 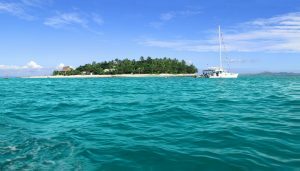 That said, if you’re desperate to cruise to Fiji, but don’t have the time to cruise there from Australia, there are a number of cruises as little as 8 nights departing from Auckland that visit the tropical Fijian isles. Looking to branch even further out into the Pacific? South Pacific cruises of 15 nights or more offer a wide range of combinations some which may feature visits to Tahiti, Hawaii or even trans Pacific, including many options for premium and luxury cruise lines. 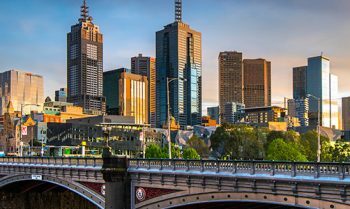 If time is of the essence, view short breaks of 1-3 nights or Australian coastal cruises of 4-6 nights or if you need inspiration have a look at our handpicked South Pacific cruise deals. There are a number of cruise lines that can only take you on South Pacific cruises during the summer months, with their ships heading to other parts of the world in April of each year. Most popular of these are Royal Caribbean cruises, Celebrity cruises and Holland America. If you’re looking for year-round South Pacific cruises. 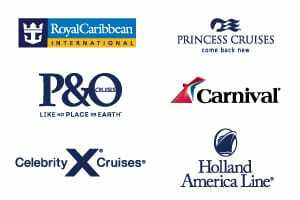 your cruise lines of choice are Princess cruises, Carnival cruises and P&O Cruises Australia. Alternatively, if you’re wanting to spoil yourself, there are a number of luxury cruises in the South Pacific operated by Seabourn, Oceania and Regent. Ships from these cruise lines tend to be in our waters very fleetingly, so if luxury South Pacific cruises are what you’re looking for, make sure to book your cabin early. Cruises from Sydney, cruises from Brisbane and cruises from Melbourne all offer a range of exotic South Pacific cruises. 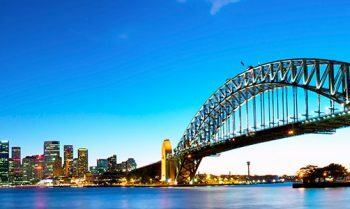 Popular round trip itineraries out of Sydney call on places like Isles of Pines and Lifou (Loyalty Islands) in New Caledonia as well as Lautoka and Suva in Fiji. Some South Pacific cruises that start in Australia and disembark in New Zealand also call on destinations in Tonga like Vavau and Nuku’Alofa. Isles of Pines: This compact tropical island is located about 48 kilometres off the coast of mainland New Caledonia. While Napoleon made a land grab here in 1854, the indigenous Melanesian population has resisted ever since. In fact, France will return power to the locals in 2018. Isles of Pines is one of those special destinations that has not been taken over by mega resorts. As you approach the island, you’ll note the ring of pine trees lining the shore. On the beach, you’ll revel in the talcum powder soft sand and the ultra clear water makes it easy to spy sea turtles and colourful fish living their lives right offshore. The people are friendly here and enjoy telling visitors about the sacred rock formations on the island as well as the totem poles erected by their ancestors. 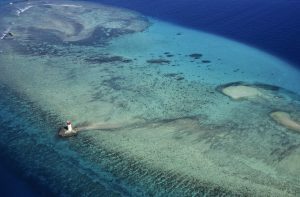 Most visitors spend the day snorkelling and enjoying the beach. Lifou: Also part of New Caledonia, Lifou is an island—the largest, in fact—in the Loyalty Islands archipelago. Europeans “discovered” Lifou in 1857 and it was a whaling and trading outpost before missionaries arrived to try and convert the Melanesians. Today the lovely island offers a slow pace to visitors who come to enjoy the stunning beaches, go snorkelling, walk in the forest, or simply see the traditional ways of the Melanesian people. Official tours are offered or you can explore on your own. Be sure to visit the open-air market in Easo, where you can buy local arts and crafts, clothes, and food, and make the walk to the Notre Dame de Lourdes church that overlooks the gorgeous bay. 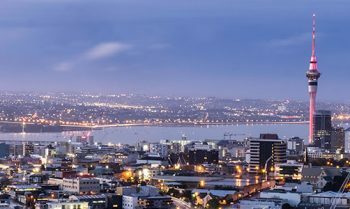 Noumea: Explore the culturally vibrant melting pot that is Noumea, capital of New Caledonia, which rests on the peninsula of Grand Terre. You can experience exquisite French restaurants in the heart of Quartier Latin and waterfront bistros overlooking the surrounding clear azure waters. Or, grab a quick bite to go at a local food truck as you explore the local stores. Unwind in New Caledonia’s cosmopolitan capital which brings both a sophisticated and classy atmosphere, yet relaxed and casual. 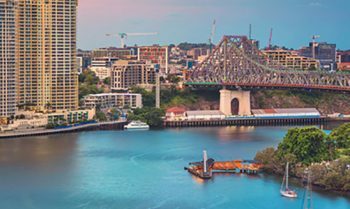 View cruises to New Caledonia from Sydney, cruises to New Caledonia from Brisbane, cruises to New Caledonia from Melbourne or view cruises to New Caledonia from Auckland or Papeete. Port Vila: The capital of Vanuatu, is a tiny but bustling centre surrounding the vicinity of the beautiful Vila Bay. Despite Port Vila’s small scale, the town’s vibrant energy and quaint French influences can definitely be felt as you stroll through the lively street markets, waterfront restaurants and cafes. Explore the archipelago and lose yourself in the tranquillity of nearby lagoons, beaches and offshore islands. View cruises to Vanuatu from Sydney, cruises to Vanuatu from Brisbane, cruises to New Caledonia from Melbourne or view cruises to New Caledonia from Auckland or Papeete. Suva: Suva, the capital of Fiji, has a long history of welcoming cruise travellers since P&O began calling here just before World War II. Today, visitors can enjoy the city’s colonial-era downtown area as well as modern duty-free shopping districts that are sprinkled with restaurants and bars. Excursions are also available to the Fiji Museum & Thurston Gardens and the Colo-I-Suva Forest Park. Experiential tours often include a visit to a Fijian village, a fire walking presentation, and a kava ceremony. Lovely river cruises are offered and are a wonderfully low impact way to see the rainforest and nearby waterfalls. Denarau Island: A man-made island just a stones throw from mainland Fiji, Denarau Island is home to a number of luxurious brand name resorts as well as an 18-hole championship golf course. The Port at Denarau combines warm Fijian hospitality with a wide range of bar, restaurants and retail outlets in one convenient location, so those who don’t like to wander too far from the ship have everything they may need at their fingertips. That said, there is still plenty to do for people who want to venture onto the mainland, with a number of tour operators ready and willing to take you on an exploration of the natural and man-made wonders of the island. Nuku’alofa: Of Tonga’s 169 islands scattered across 700,000 square kilometres of the South Pacific, only 36 are inhabited. Nuku’alofa, the capital of the Polynesian kingdom, is located on the main and most populated island of Tongatapu, which has become the hub of tourism and trade for the sovereign state. 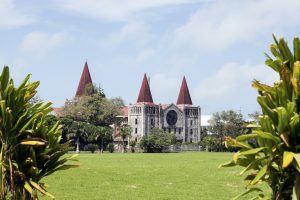 The township of Nuku’alofa is host to beautiful, often gothic-looking architecture as well as sprawling markets, while the island features pristine beaches, centuries-old archaeological sites and Tonga’s own Stonehenge, Ha’amonga ‘a Maui. Nuku’alofa is also a fantastic jump-off point to explore a selection of Tonga’s gorgeous islands, boasting idyllic white beaches bordered by luscious rainforests, and to immerse yourself in the underwater wonderland of the region’s lagoons and coral atolls. Apia: Unbeknown to many, the collective Samoa is actually divided into Western Samoa and American Samoa. 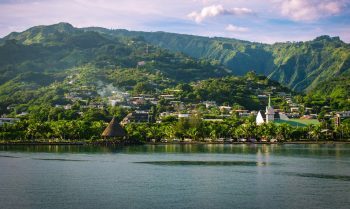 Apia, capital of Western Samoa, is the country’s largest city, while it’s American Samoan counterpart, Pago Pago, is also a frequented port on cruise itineraries. While in Apia, discover the traditional Polynesian lifestyle with a tour of the Samoa Cultural Village, witness one of the many beautiful waterfalls and lagoons scattered around the island, or explore the underwater jungle of coral and sea life that is just a few steps away from the pristine beaches. French Polynesia embodies the image of paradise: pristine and sparkling white beaches, crystal clear water and swaying palm trees. As flop and drop holidays to French Polynesia can often be quite expensive, cruising is the perfect solution. 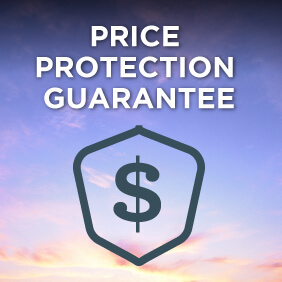 Not only do South Pacific cruises often visit a number of islands in the archipelago, but your accommodation and on board meals are all included in your fare making it a much more affordable way to explore the islands. The best way to see the most of French Polynesia is to get onboard one of the selection of cruises from Papeete, however there are also a number of Trans-Pacific cruises from Australia to America or America to Australia that may give you a taste-test of the islands of French Polynesia on their itineraries. 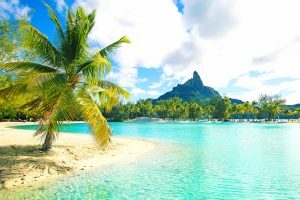 Bora Bora: An island that has become synonymous with romance, Bora Bora has so much more to offer than just as a honeymoon destination for newlyweds. It’s iconic tranquil and ridiculously clear waters are ideal for snorkelling, while the lagoons greater depths provide some fantastic diving opportunities. A cruise on the lagoon can also take you to some idyllic snorkelling spots and pristine beaches while witnessing an underwater wonderland pass beneath you. On land take a 4WD tour of the island and discover the legends surrounding the islands inactive volcano, Mount Otemanu. Alternatively, take advantage of the islands bus service and beach-hop your day away. View cruises that visit Bora Bora. *Itineraries are subject to change. Please check your itinerary visits your desired cruise destinations and ports prior to booking.